I am writing this to tell you about my creator-owned Kock Fighter Club comic. 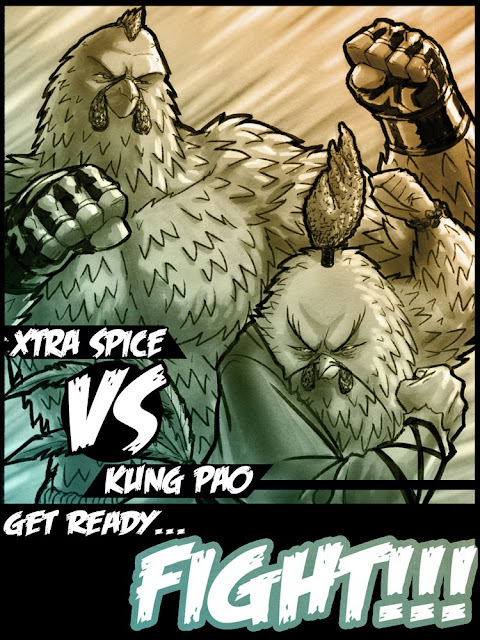 This issue is called Xtra Spice vs Kung Pao. You can buy it here. I am attaching the cover and a couple of sample pages. 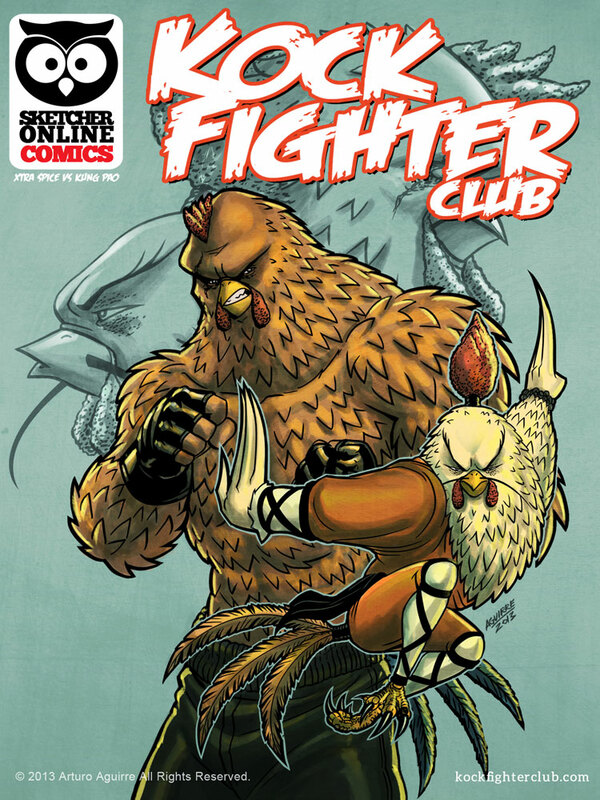 You can find two more sample pages at kockfighterclub.com I thank God that I was able to finish this issue. I had never done a comic before and the whole process was a huge learning experience. I will start working on the next issue once I have the chance. 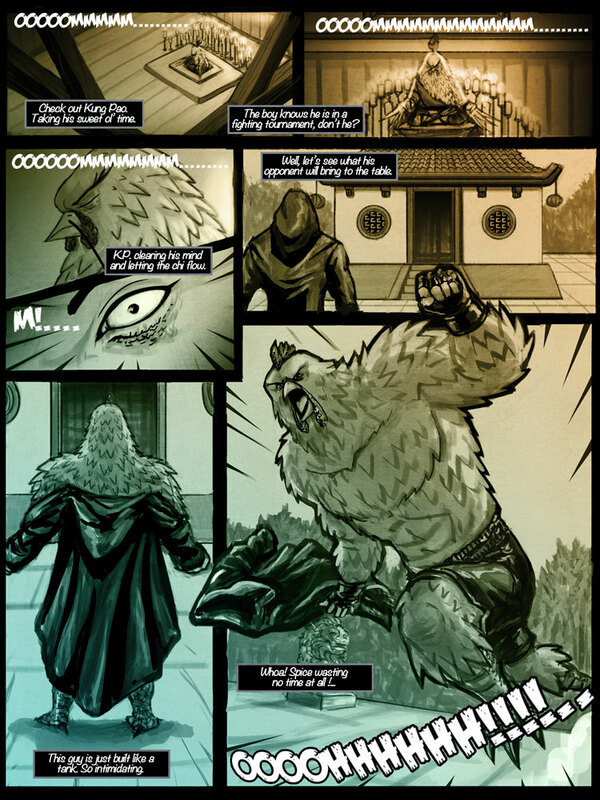 I will write about the creation process on the official site for the comic. I hope you like it.